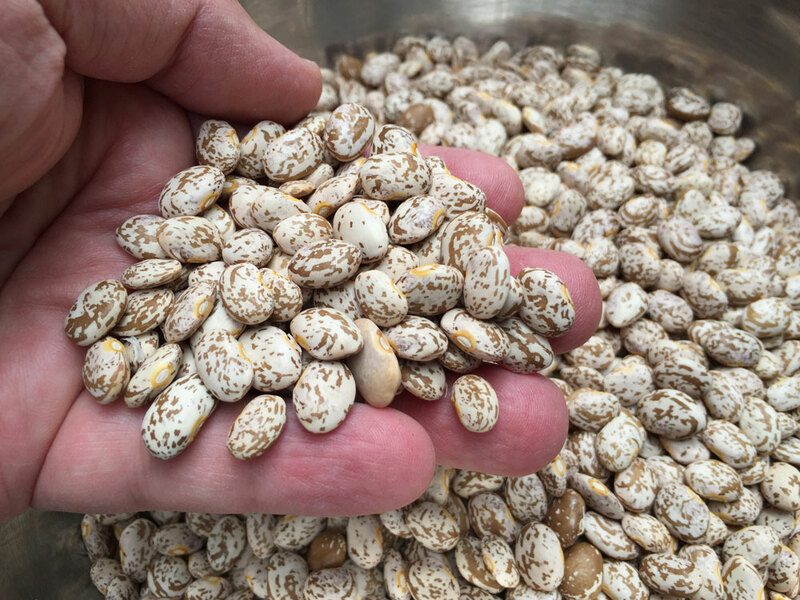 When the dried bean seeds are germinated and cooked, they just melt in your mouth. 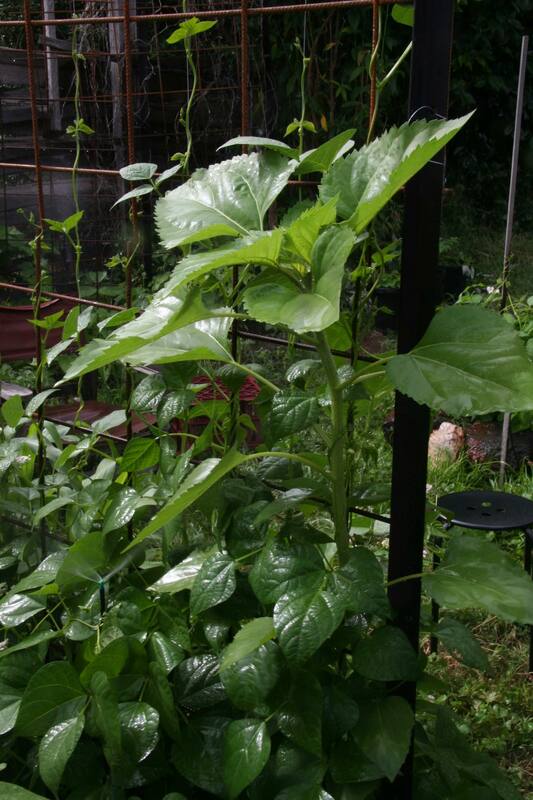 To get these seeds just leave beans on the vine to dry out naturally, then pick. Beautiful white flowers attract bees and other insects. 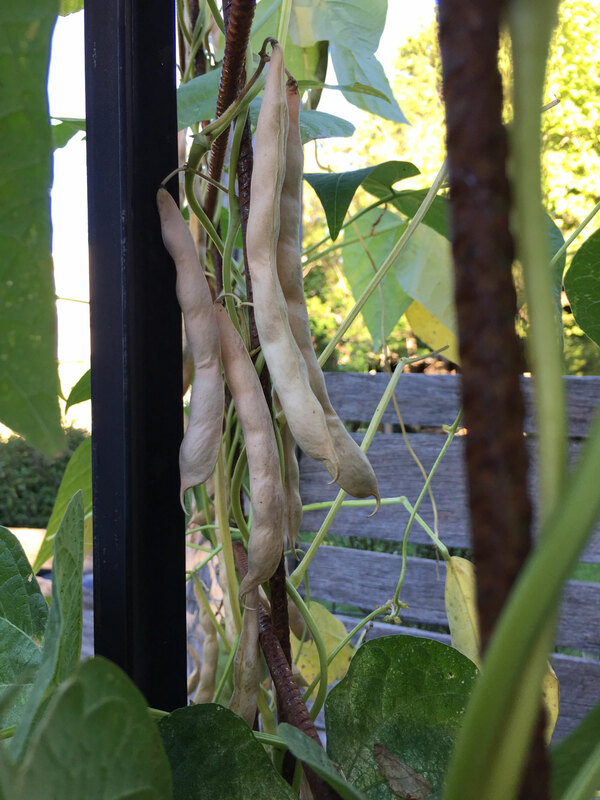 Pinto beans drying on the vine – nearly ready to harvest the dried Pinto seed within. 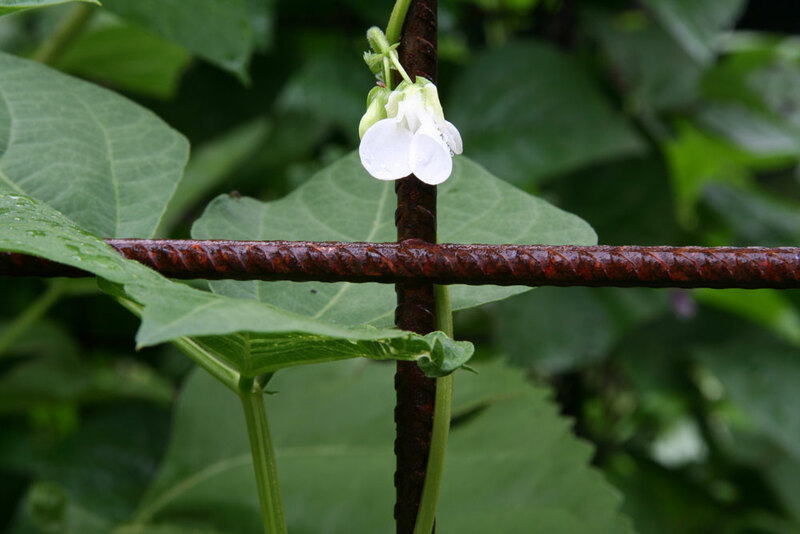 Our beans can grow up to 3-4 metres tall. 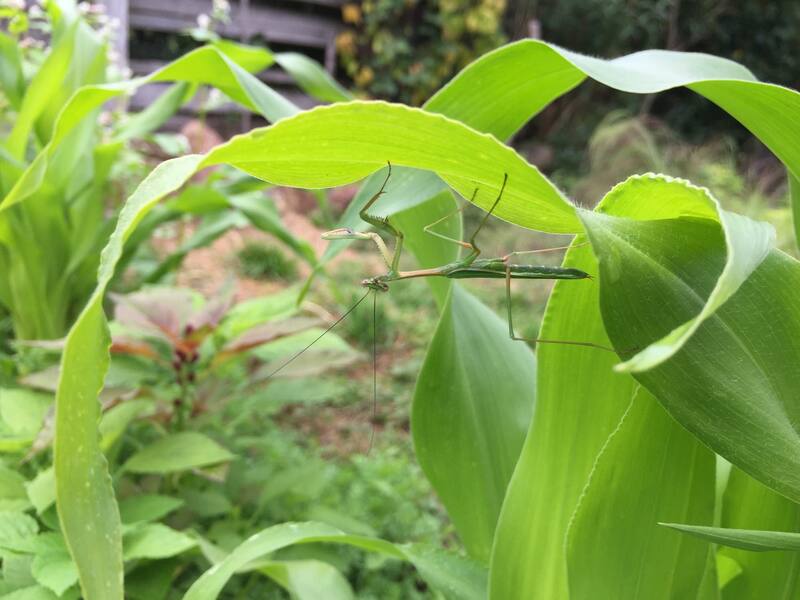 We use iron construction mesh to support their growth. 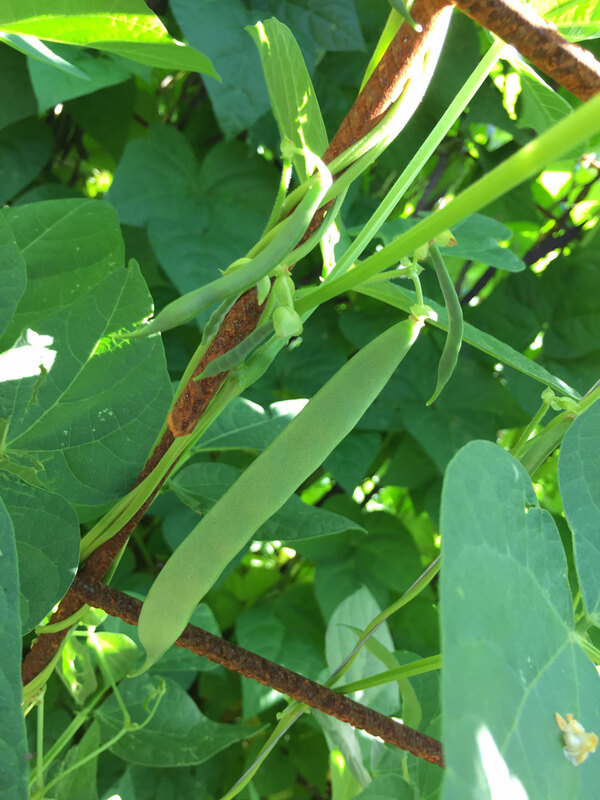 The fresh beans can be eaten raw (and I often do) or steamed to accompany any meal. Absolutely delectable. 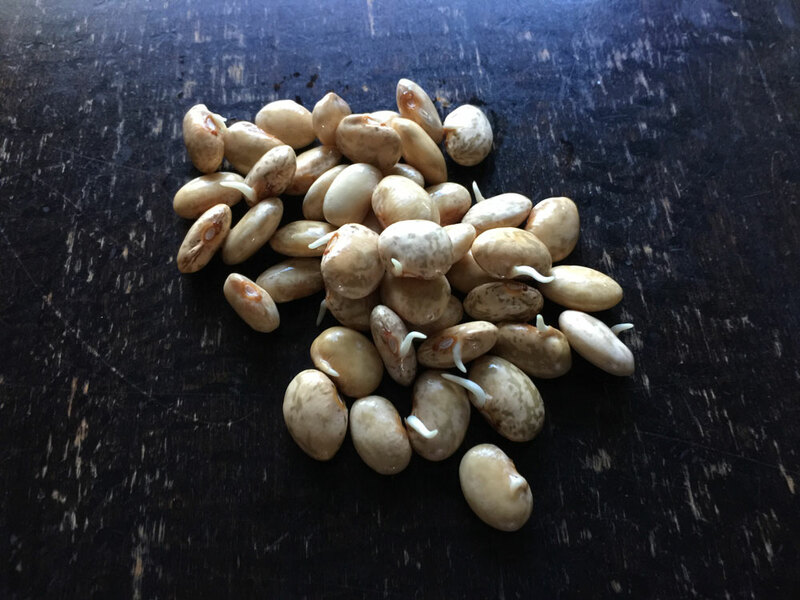 The seeds swell in size when germinated. Cook for about an hour or until they melt in your mouth. Great in Mexican dishes. Scrumptious. 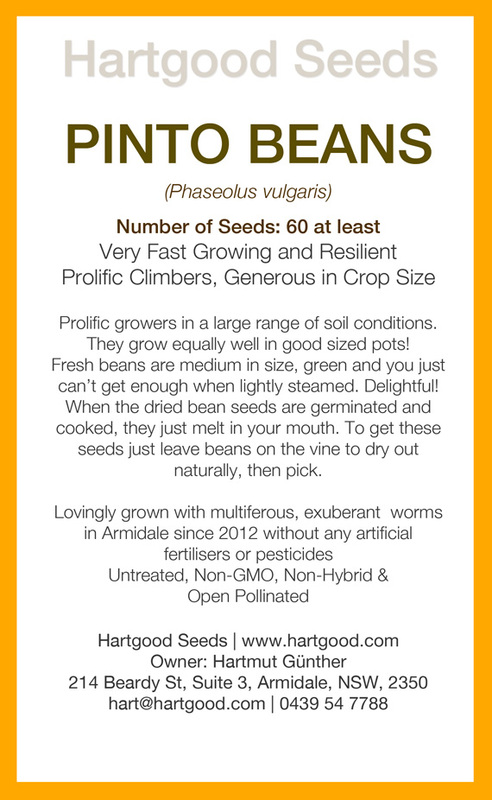 Some of the seeds we produce. 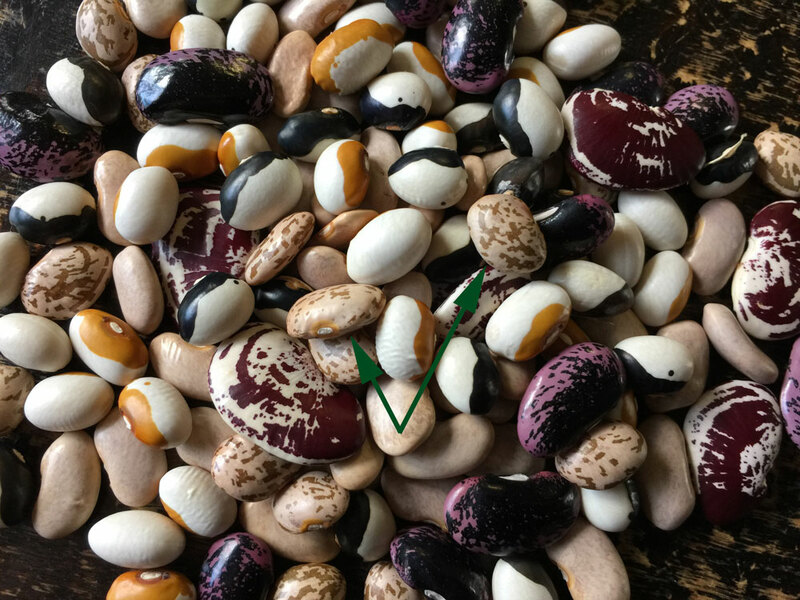 These are Pinto seeds with the green arrows pointing. 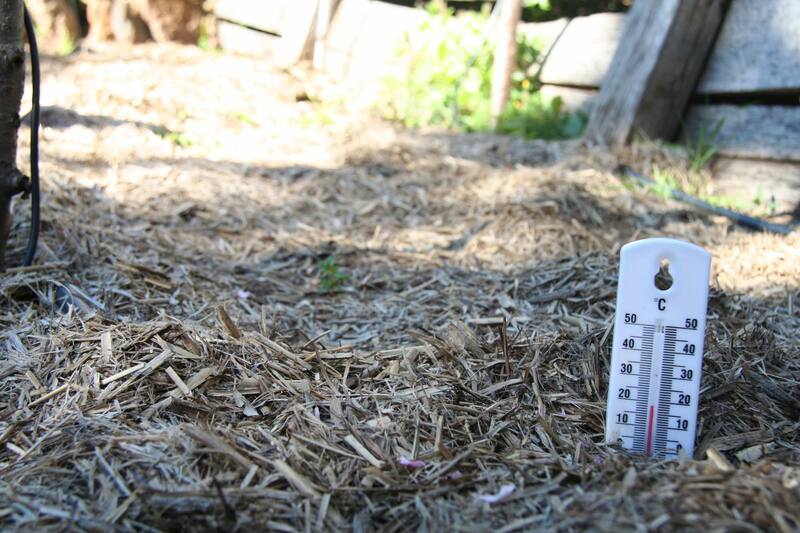 Temperature is now right to plant bean seeds directly into the ground. 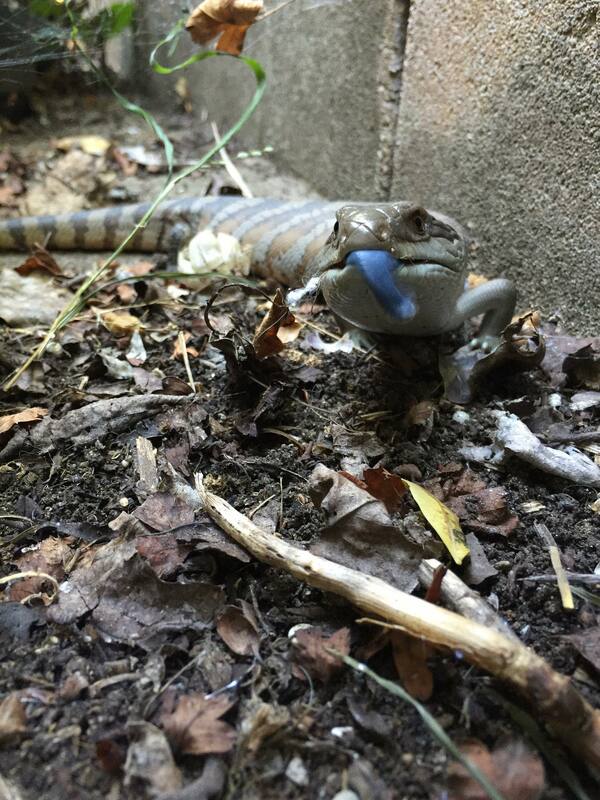 The blue tongue lizard on a bug hunt in the garden. 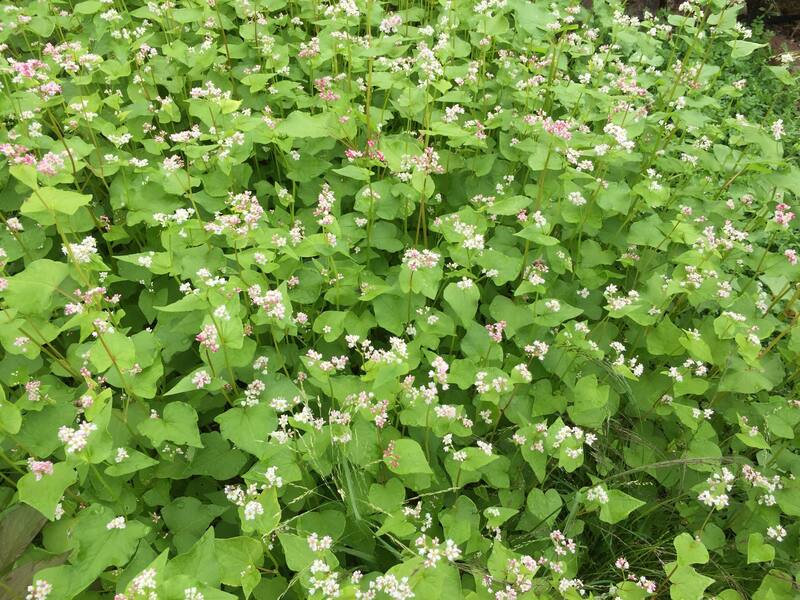 A powerful bee attractor and cover crop – buckwheat – even saved some of those amazing tetrahedral seeds for next year. 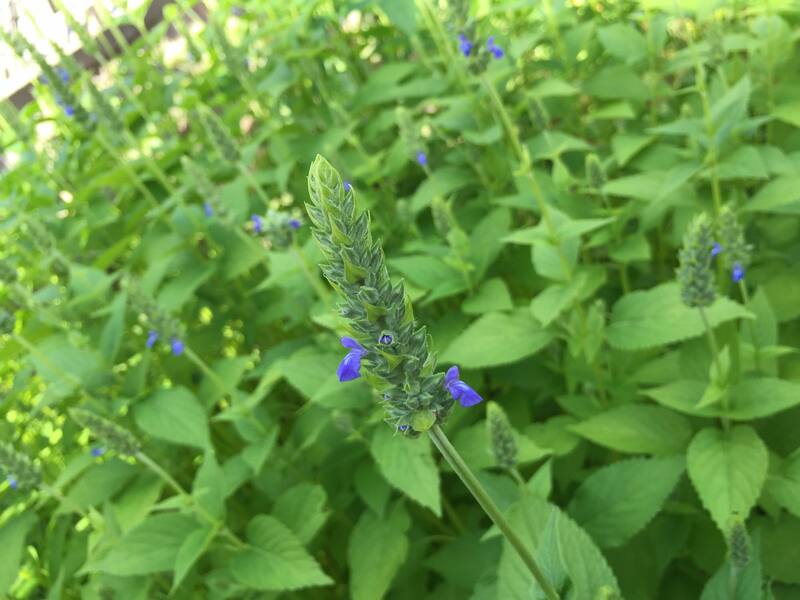 Winter chia seed also attracted lots of bees with these beautiful violet flowers. 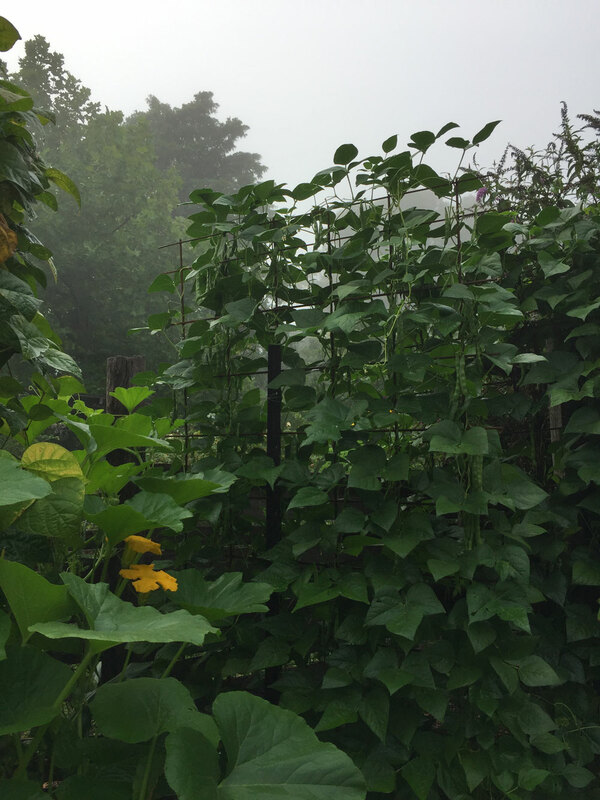 So now summer is on the door step and it’s late october in Armidale and we are waiting for an optimal soil temperature of around 18C to plant the bean seeds.